Virtanen played as a second line center and he was also on second powerplay unit. But despite recording point against Slovakia, his game left a lot to desire offensively. Center didn’t get his offensive game really going during the game. His passing game was hasty and many of his passes were inaccurate or were passed to the spot without any of his teammates. He was also too hasty when receiving the puck and due to that he lost the puck couple of times. He did not show the craftiest hands either. However Virtanen is big and physically strong player who knows how to use his body. He is also pretty good skater for a player of his size. Virtanen also showed good work ethic and hockey sense without puck as he was often in a position where defenders and wingers were able to pass the puck to him. 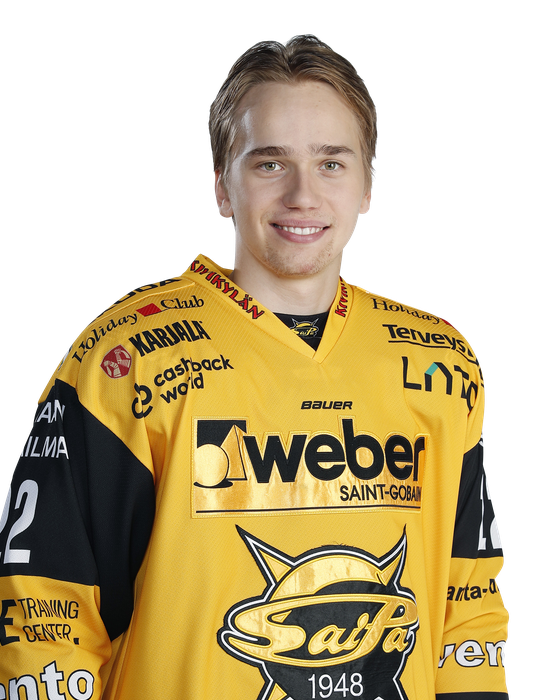 Virtanen, who has returned to TPS after starting the season with USHL’s Dubuque Fighting Saints, had a good game against HIFK U18. While he was somewhat overshadowed by the superb performances of teammates Matias Maccelli and Kaapo Kakko, Virtanen did show pretty interesting upside. The 6’2 center read the game well both offensively and defensively. He used his linemates with timely, clever passes – certainly has potential as a playmaker. He positioning was solid and he blocked a shot right after defensive zone face-off in the third period. Skating and speed are areas for some improvement. His first two-step acceleration and agility could get better. While Virtanen missed plenty of time this season due to injury, he’s been playing well with TPS U20 and U18 teams. If he does not get picked in this year’s NHL Draft, he will have a good opportunity to be selected next year as he has skill, smarts and good size as well.